Police say this vehicle is similar to the one stolen. PSNI image. Police are appealing for information after a Ford Ranger was stolen in the early hours of this morning. 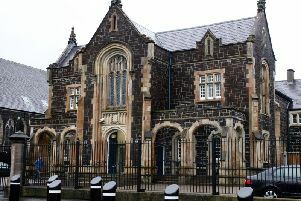 A PSNI spokesperson said: “The black vehicle, registration MM55LKA, was parked in premises on the Moss Road, Ballynure. “The owner discovered it was stolen this morning. Not only has the owner suffered the loss of his vehicle, but the business may also suffer from the actions of another as the vehicle was used extensively in the day-to-day running of the business.